Riverside's best kept secret, Burger Boss Signature Grill is located in the back of one of the smallest and hard to find shopping centers in THE WORLD. Okay, maybe not "the world" but it's pretty far off the beaten path nonetheless. You'll HAVE to let your inner adventurer out as you set off on a quest to find this hidden treasure. The decor is sleek, modern, and minimalistic. The lime green walls pop with energy and give the place an all around "fun" feel. The menu is displayed on flat screen T.V.s and feature what seems like limitless combinations of different burgers to try. Now, I may be a little rusty in the math department but from my calculations, there are upwards of 51,840 different combinations of burgers (eat your heart out Baskin-Robbins!). They also offer a few different kinds of shakes, and a small menu for children. So let's get down with the get down. I've been twice and I must say, I LOVED the food both times. I decided to keep it simple and roll with the classic cheeseburger i grew up with (American cheese, ketchup mustard, mayo, pickles, lettuce, tomatoes, and onions) and I was impressed! In an industry where it is the norm to have fillers and by-products in your beef, it was quite refreshing to taste real beef in a restaurant setting. Everything had such a fresh and natural taste it was comparable to my ALL-TIME FAVORITE BURGER JOINT.... In-n-Out. I'd actually say In-n-Out's uber-cult following is there only competition! There were only three things I did not like. Keep in mind, although they may be minor I wouldn't be keeping it real if I did not mention it (and you know how I got's to keep it real). The burgers are huge and by all means DELICIOUS but there buns just can't seem to keep up. I'll be damned if you catch me spilling ketchup on my fresh outfit. 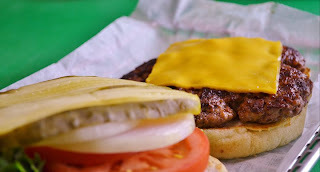 If you get one of their "Double" sized burgers, there is NO WAY that bun will be around when you get to your last bites. The second problem i had is both times i ordered something extra, whether it be extra pickles, or a side of ranch, or what have you. It didn't get it! I cozied up to the table ready to take a bite of my delicious looking meal and had to stop, get up, and ask for my "extra". That's not cool. The last thing I wasn't feeling was the lack of a presence on the Internet. Lets get the Twitter going, link it to your Facebook page, and offer free wi-fi connectivity for customers. Then you get that Starbucks feeling going and you WANT to bring in that term paper you're typing or that PowerPoint the boss wants done by Monday, and finish it at Burger Boss over a burger and fries. All in all Burger Boss is jamming! A tad bit more expensive than your average burger joint but you DO get what you pay for. I would only suggest they stay opened late (like In-n-Out) and appeal to that late-night, club-hopping, midnight-eater crowd. I WILL be going back, often, and with my friends! 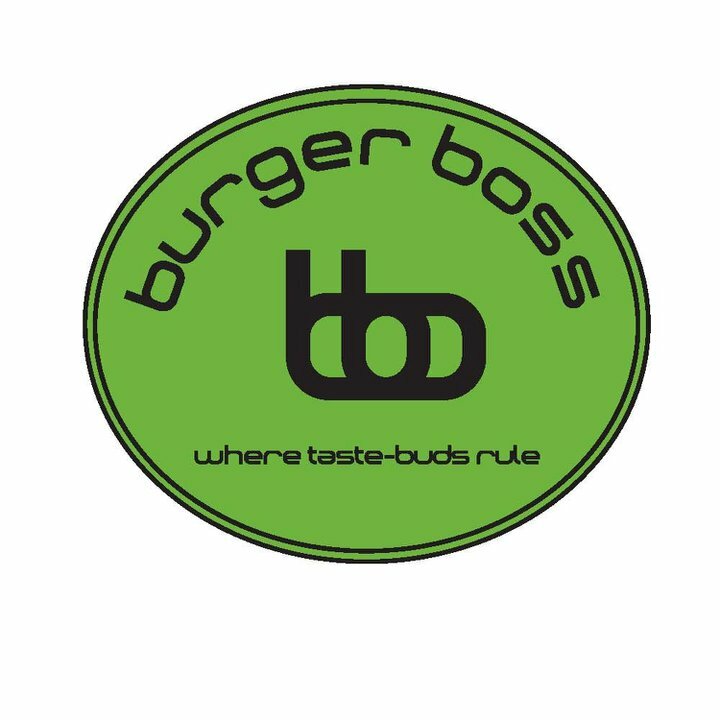 Now that you've heard MY opinion, what do you think about Burger Boss Signature Grill? You can check them out at 2585 Canyon Springs Pkwy, Riverside, CA.